Since I purchased my Breville Pizza Oven, I’ve been in pizza mode. I’ve been meaning to make fresh pizza dough, but haven’t had time until today. Then I decided to try a calzone with the fresh pizza dough. Hense, this Sausage Calzone. Holy moly…..all I’m going to say is, I knocked this one out of the park! I basically winged it, and all of the combo’s (the cheeses, fillings and dough) were right on par! At first, I thought I was going to cook this in my new pizza oven. Then the light went on…it’s too high to cook in the pizza oven! So I turned on my countertop convection oven to 500 degrees F, put the pizza stone in it, and heated it up. I put the calzone in and let it cook. I’m sorry to say I didn’t time it, but want to say it took 20 minutes or so, or until the crust was browned. Everything in it is already cooked, so it’s just a matter of cooking the dough. I took out and let it cool. I don’t mind saying I wasn’t expecting very much when I took it out of the oven. 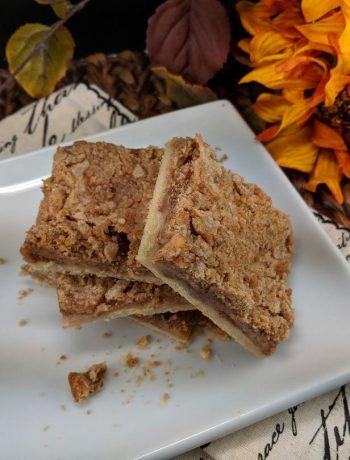 I sliced a piece and took a taste, and all I could say is WOOOW! For a minute I thought I was a pizza maker from one of those Italian pizza joints from years ago, that made the best pizza and meat pie EVER! The cheese blend was perfect! The filling proportions were perfect! The dough was perfect! 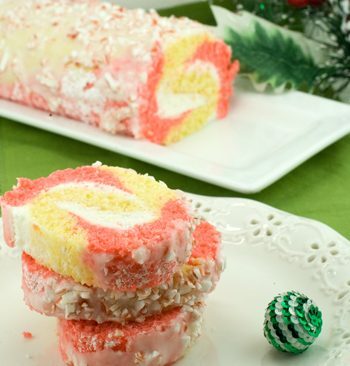 Not only in the finished product (firm but yet tender)….but also in the ease of making and rolling! It rolled out like pie dough. No snapback…no holes. Just roll out, fill, and seal. Brush with a little olive oil, and bake! I used King Arthur Flour Pizza Flour, and Easy Roll Dough Improver, along with the usual ingredients. What a pleasure it is to make your own dough (which was extremely easy using my Kitchenaid mixer with the dough hook attachment)! The store bought stuff is much tougher when baked and a horror to shape! 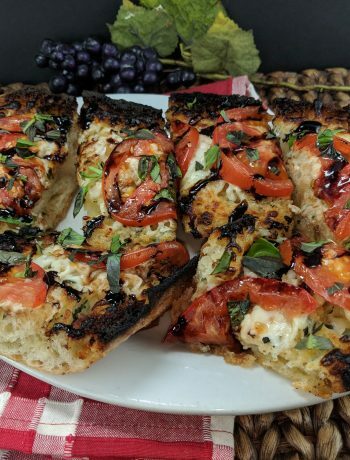 Although I didn’t use the Pizza Dough Flavor in this recipe, it gives an added cheese and garlic flavor to your home made dough. 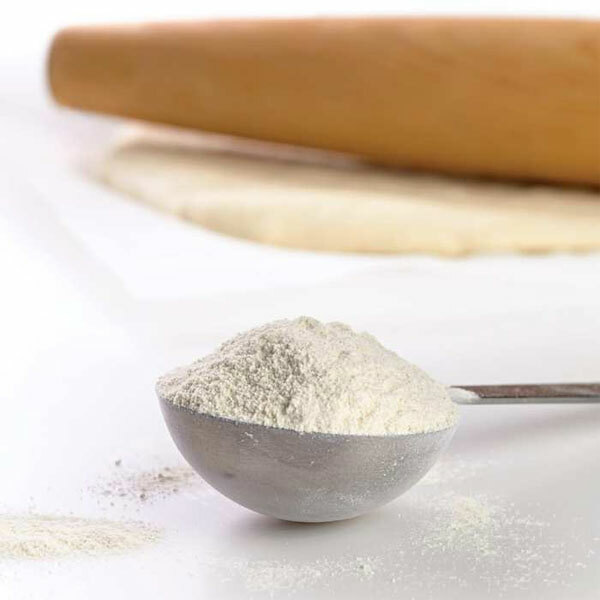 You will never use store bought dough again, after you make this. 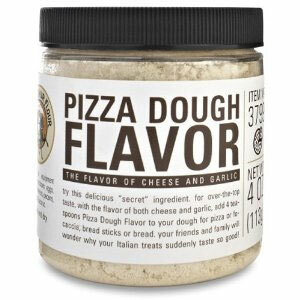 You can give the dough a 1 hour rise, or not. It’s up to you. 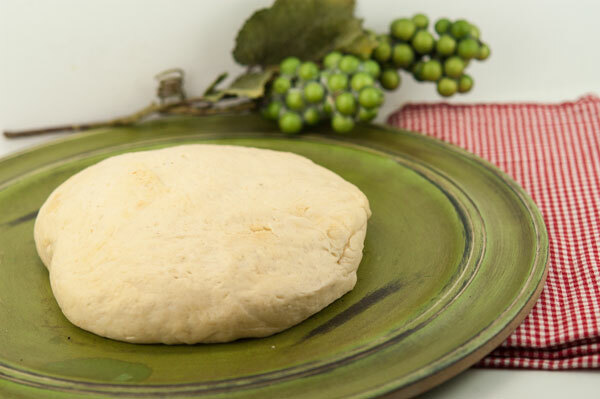 Make one recipe of pizza dough. Preheat oven to 500 degrees F and place pizza stone in oven. While the dough is rising, make filling. 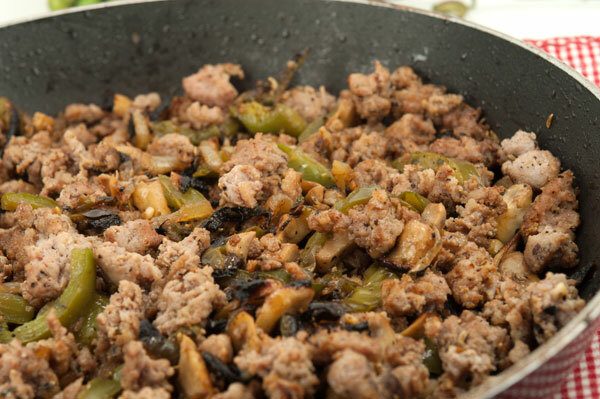 In saute pan, take sausage out of the casings, and cook until slightly browned. Remove from pan and set aside. Put a tablespoon or so of olive oil in the pan you cooked the sausages in. Put green pepper, onions, and mushrooms in and saute on medium/medium high heat until soft and slightly browned. Add minced garlic and fennel seed, and cook for about a minute longer. Add sausage to vegetable mixture. Set aside. Grate Parmesan, Fontina and Provolone cheeses. You probably want about 1/2 cup each. Take about a quarter (or enough to roll out to about 10 to 12 inches around). Roll out in between 2 sheets of parchment. Discard the top parchment, and leave the dough on the bottom parchment. Add some of the sausage/vegetable filling (I didn’t measure mine, but I would guess at about 3/4 to 1 cup). 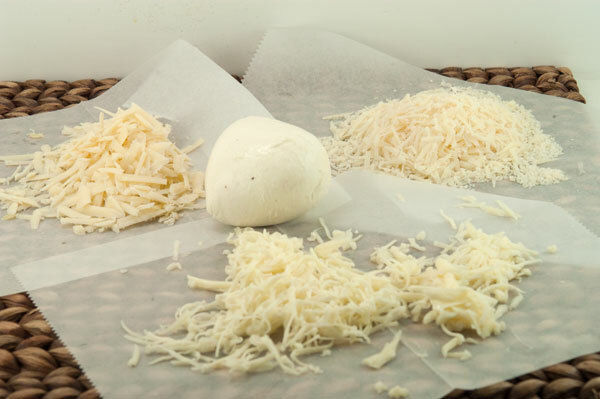 Sprinkle some of the three grated cheeses and add four or so pinches of fresh Mozzarella cheese. Sprinkle with dried Basil and Oregano. Fold over in the shape of a half moon. Take the bottom half edge and fold over the top half edge to “seal” the calzone. If you just fold in half and press the edges together, the juices and melted cheese could seep out. 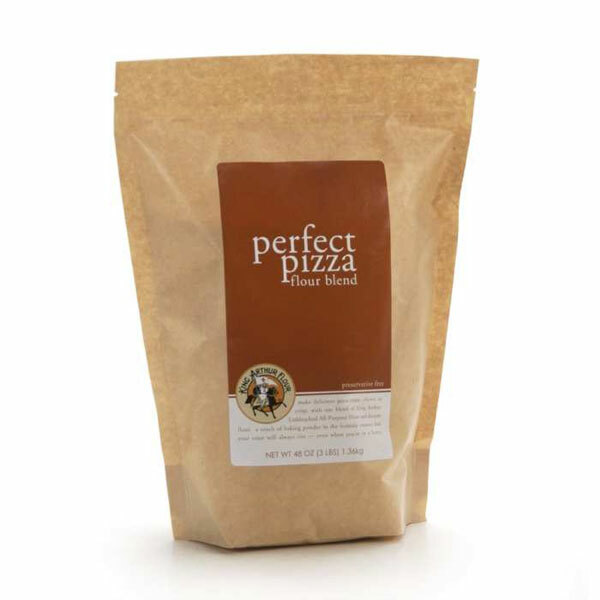 You not only lose your precious filling, you make a mess of your pizza stone. 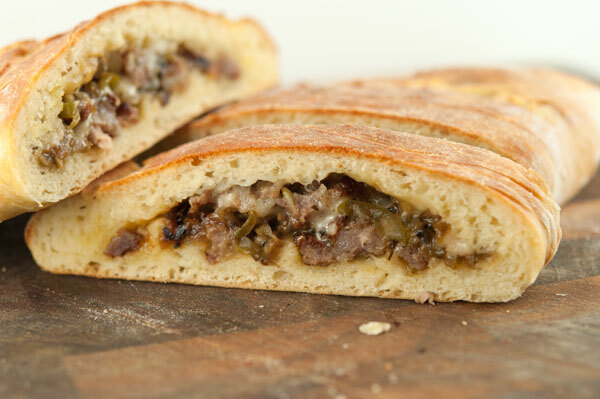 Take the calzone parchment and all and put on the pizza stone in your preheated oven. Cook for 20 minutes or so, until brown and golden. 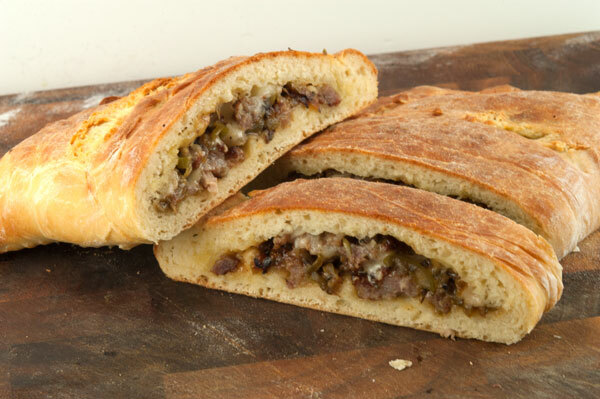 Measurements in this recipe are for 1 calzone. My pizza dough recipe makes about 4 calzones. If making 4 calzones increase the ingredients.